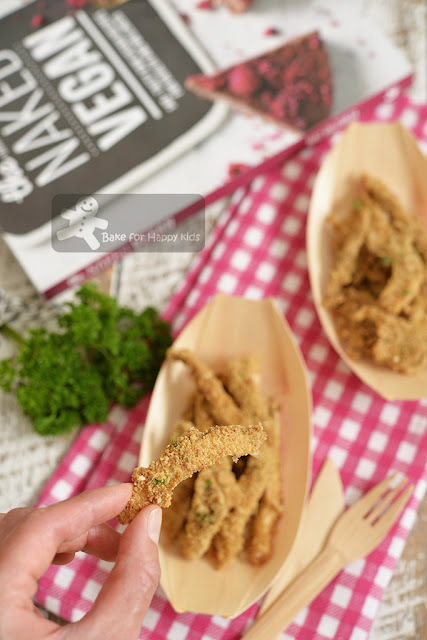 Bake for Happy Kids: Vegan Crispy Non-fried "Non-baked" Mushroom "Calamari"
Vegan Crispy Non-fried "Non-baked" Mushroom "Calamari"
These crispy "Calamari" are NOT calamari!!! Not coated with any batter, flour, egg or breadcrumbs! Yet surprisingly crispy and delicious! I have to tell you... This recipe is totally amazing!!! These healthy vegan version of fried calamari is made of oyster mushrooms, not calamari! Instead of deep-frying or oven-baked them, they are actually dehydrated. Instead of coating them with a batter, flour, eggs or breadcrumbs, they are coated with the dietary-fiber-rich flaxseed meal (golden linseed meal) which is commonly available in most Woolies, Coles or any health shops. Best of all, these dehydrated flaxseed coated mushrooms are crispy and very delicious!!! All thanks to a hottie! who created this fantastic recipe... Sorry Maz! Hope that you don't mind that I call you a hottie because you are really hot... LOL! 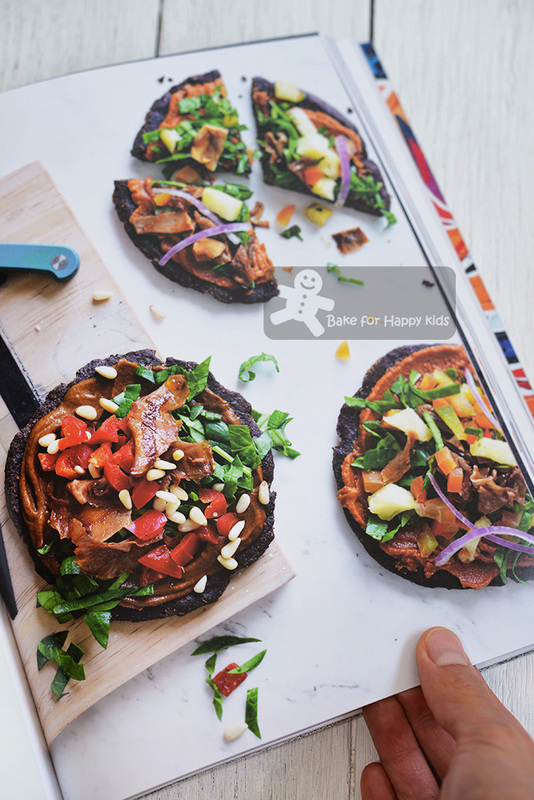 Yes that this amazing recipe originates from the book, The Naked Vegan by Maz Valcorza. 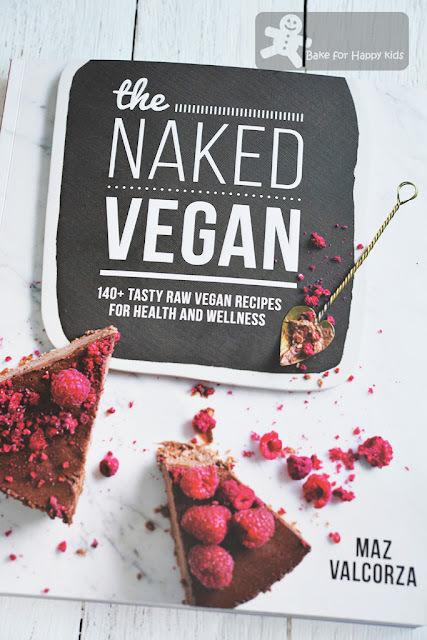 Naked vegan? I hope that you are getting too imaginative especially I said that Maz is a hottie. LOL! The vegan food in this book are "naked" because they are mostly raw, neither cooked nor baked in order to preserve and enjoy their nutrients in their most original forms. And this is Maz Valcorza!!! Isn't she gorgeous? "You gotta see this!!!" I told my husband when I flipped to this page. And we were like "Whoa!" LOL! 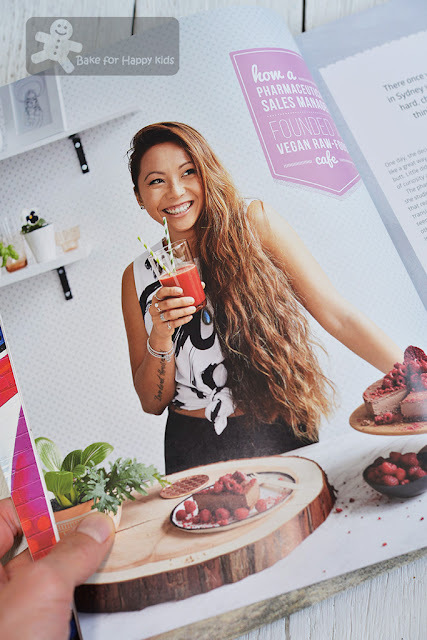 Maz Valcorza was a child who ate Span from a can, a nurse-turned pharmaceutical sales manger who partied hard and smoked... Now she is an influential vegan foodie, founder and director of Sydney's first organic raw food and vegan cafe, Sadhana's Kitchen and loves practicing yoga. 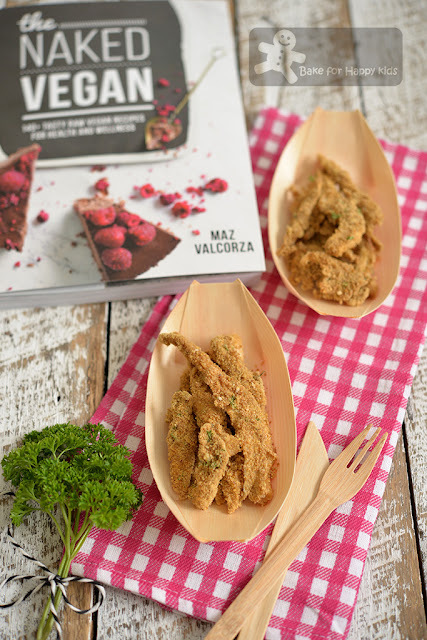 Maz believes that eating well and feeling good is important to good health and strongly advocate the consumption of raw vegan foods. Instead of using oyster mushroom only, I have tried making these mushroom calamari with 2 additional super large flat mushrooms. Please note the amount of ingredients that I mentioned later is just enough to make mushroom calamari with 10 oyster mushrooms as I have prepared extra to make the flat mushroom calamari. 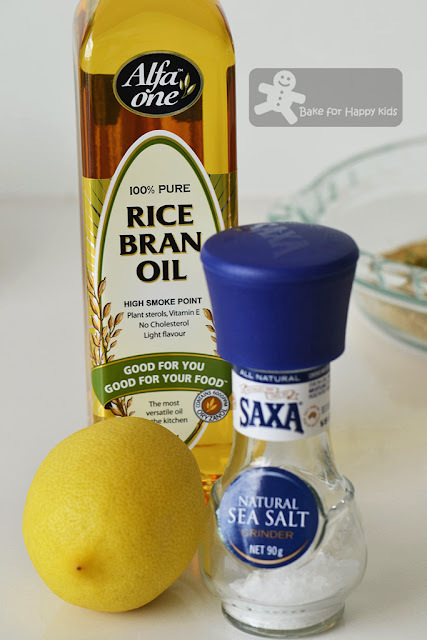 First, mix 2 tbsp rice bran oil or olive oil, 1/2 tsp salt and 2 tbsp lemon juice. The original recipe suggests an addition of 1 tsp dulse flakes (a kind of seaweed flake) but I didn't add that. 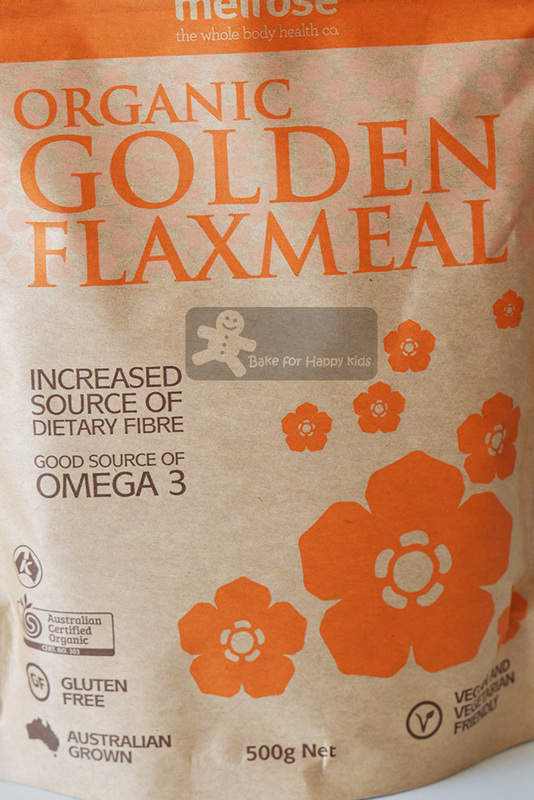 Next, you need to prepare the breading with 80g (3/4 cup) of this golden linseed (flaxseed) meal. 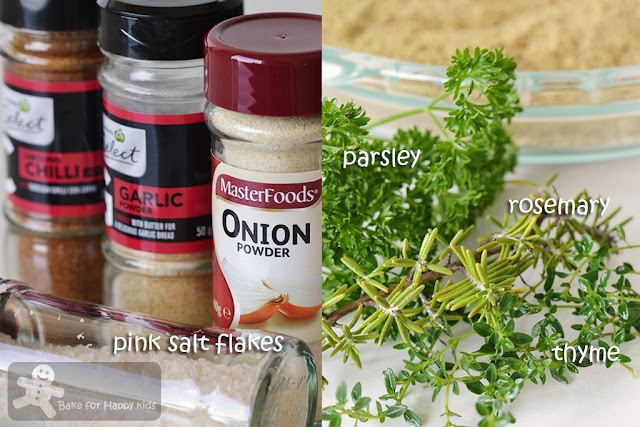 Add 1 tsp garlic powder, 1 tsp onion powder, 1/2 tsp salt, 2 tsp chopped parsley, 2 tsp chopped thyme, 2 tsp chopped rosemary. Although the book suggests using dried herbs, I'm sure that we can use either fresh or dried ones. Next, place the coated mushroom on a mesh dehydrator tray and dehydrate at 40°C (105°F) for 5 hours!!! Dehydrator? 5 hours??? 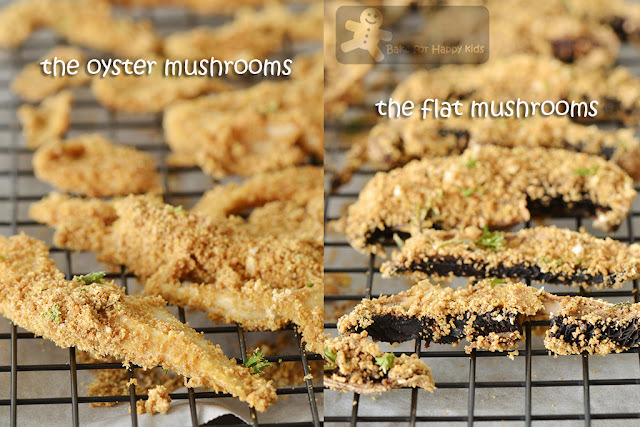 Honestly, I don't have both of these and so I arranged the coated mushrooms on a wire rack in a single layer and place the rack on a baking-paper lined tray and dehydrate the mushroom in a fan forced 100°C (210°F) oven for 60-90 mins. 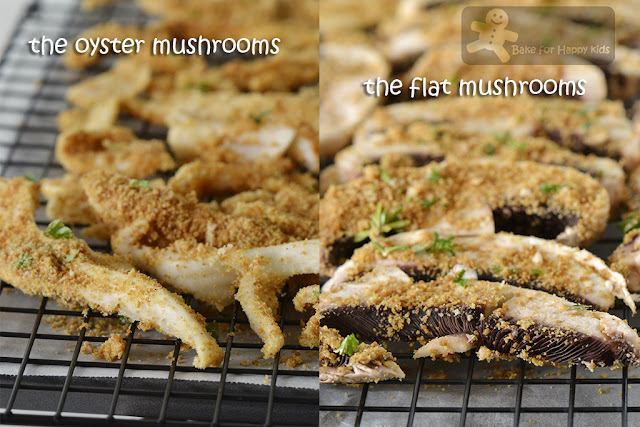 90 mins is required if you are using the flat mushrooms as they are thicker and higher in their water content. I know that "baking" the mushrooms at more than 40°C means that they are not exactly raw but with time constraint, this is the best that I can do. The book suggests I can bake the mushrooms at the lowest setting with the oven door slightly ajar for 30 mins but I reckon that 30 mins is not enough as I didn't leave my oven door ajar. 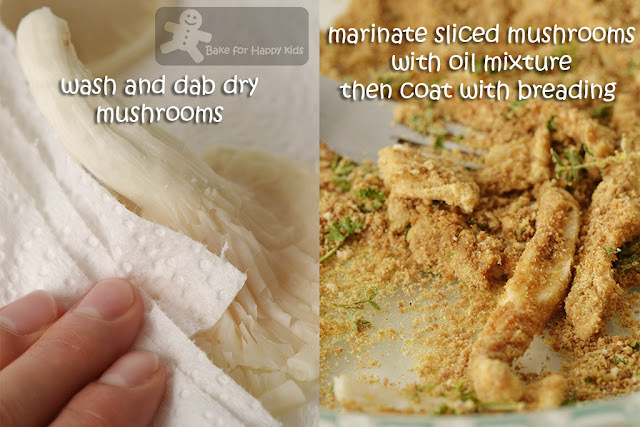 My kitchen was smelling SO good when I was drying these mushrooms and I couldn't wait to try these. Oh yes... another thing! It is absolutely not necessary to grease the wire racks as the mushrooms won't stick onto the racks when they are dried enough. If the mushrooms stick to the wire racks, this means that the mushrooms are not dried enough and you need to "bake" them a little more longer. Crispy outside. Spongy and juicy inside... So yummy like fried calamari!!! I'm amazed too that even my meat-loving husband and son are loving these!!! "Served warm from the dehydrator, this mushroom dish really seems like it's been deep fried, but it hasn't, and its good for you!" said the recipe in this book. Totally agreed!!! ... except that the flaxseed meal can stick to your teeth and so please remember to brush your teeth after these snacks or before you sleep!!! LOL! 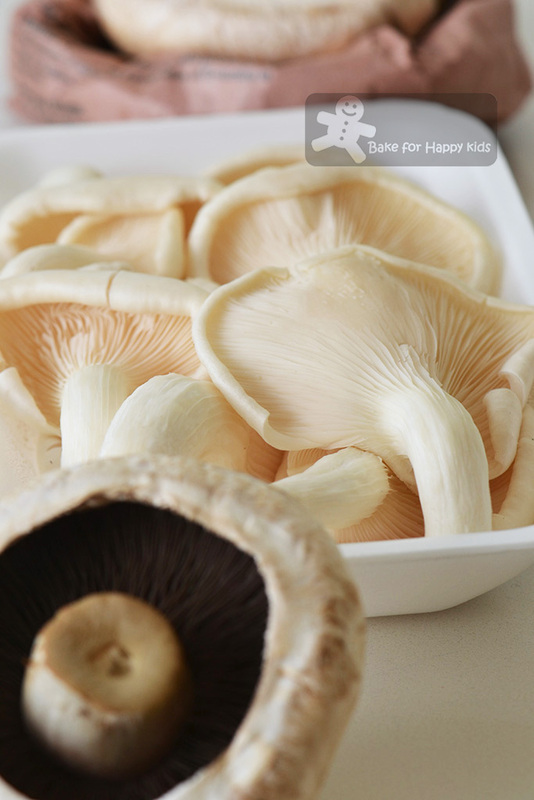 Besides, it's also a must to consume these mushrooms immediately after you remove them from the dehydrator or oven or else the mushrooms will lose their crispness and you will have to dehydrate them again for 15 mins or so before serving again. By now, I hope that you are impressed with this recipe... Told ya that raw vegan food is not all about smoothies, bananas and salads!!! You can eat pizzas, wraps and even burgers too! 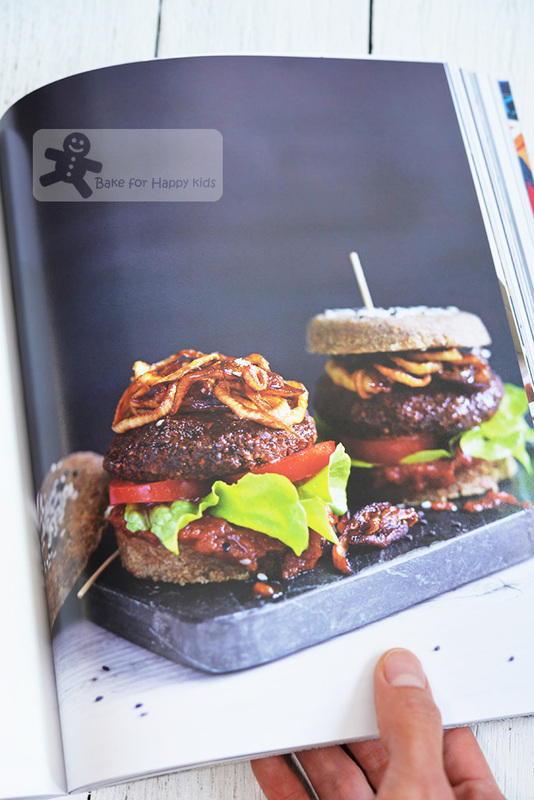 And the most amazing thing is that the pizza base, wraps and burger buns are not baked!!! ... as they are all made by dehydration!!! Find this style of enjoying food very interesting? I'm happy to show you more in my subsequent post. If you want to buy this book, you may wish to know that this book is available now in most retail or online book shops selling at the retail price of AUD$35. I won't say... Happy Baking as it should be Happy Dehydrating! LOL! Hi, I reckon airfryer should work too if you can adjust the heat to be as low as 100 C.
Ohhh may I have one, please? 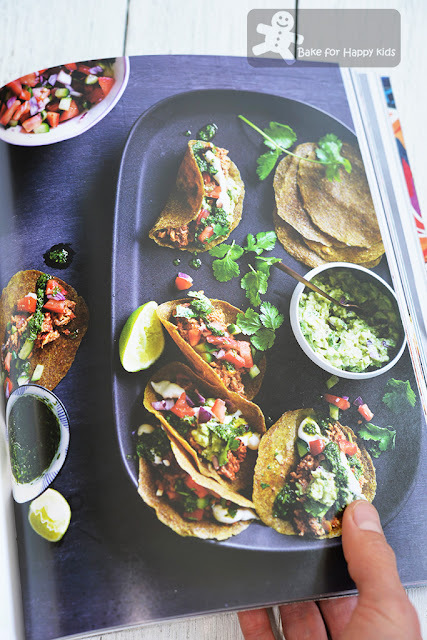 So sorry that I have not been linking my post with you at your last Cookbook Wednesday event as I was distracted with my other routine stuff. So distracted that I forgotten about Star Wars Day too. Ai ya and my apology! I would never know that these are not fried! Looks like one of those tempura! This post is very nice. All the foods are look so delicious. The Hawaiian and Smoky BBQ Pizza was so yummy. I want the recipe. Hope your next blog will published soon. I'm sorry that I have shown two smoothies recipes from this book for my next post and won't be sharing this pizza recipe subsequently. My apology.